The University Library is seeking a full-time Circulation Technician to join our Access Services staff. This position includes working at the Circulation Desk, implementing all library policies and procedures, and providing service to all patrons of the library. The starting salary rate for this position will be $14.10 with an excellent benefits package including 95% premium paid healthcare; a generous retirement and vacation package; and reduced tuition rates for employee, spouse, or dependent at any of the Oregon Public Universities. 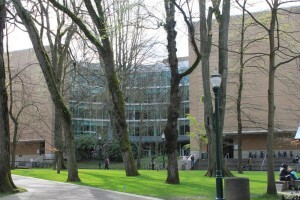 Portland State University is an Affirmative Action, Equal Opportunity institution and welcomes applications from diverse candidates and candidates who support diversity. If this sounds like an exciting opportunity for you, please see the full job announcement including qualifications and apply online.